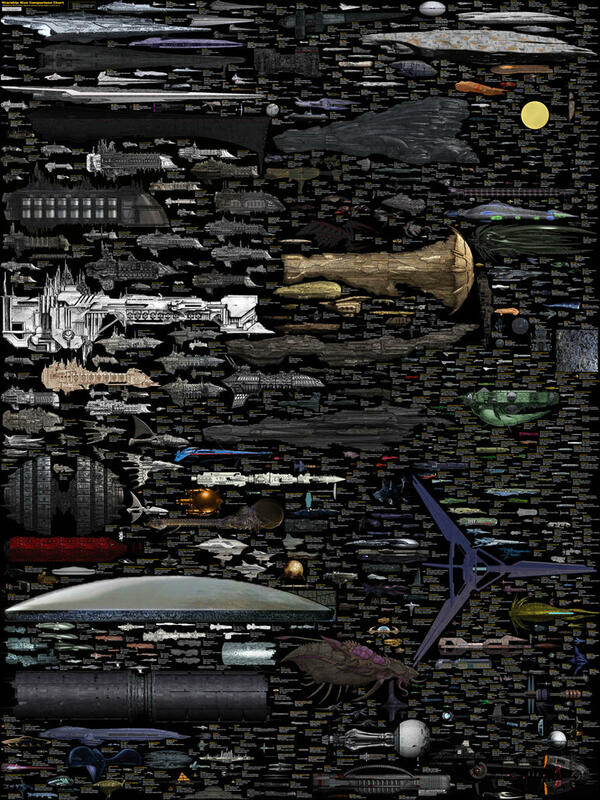 Dirk Loechel from Deviant Art took the time to catalog all the spaceships from popular TV and Movies (and some video games) ﻿ and depict them to scale in this poster. OK, I can’t say it’s ALL of them, but everything I went looking for was there, including Star Wars and Star Trek (obviously), Firefly and Battlestar Galactica. Plus series I’ve heard of, but haven’t watched (Red Dwarf) and many that I’d never heard of. Click through for the whole poster.